Having supplied the McLaren team for the last 19 years, the latest additions – two full 5-axis VARIAXIS i-600 Multi-Tasking machining centres, and one QUICK TURN 250 MY turning centre – take the Formula 1 team’s current total of machine tools at its Surrey-based McLaren Technology Centre to 36. 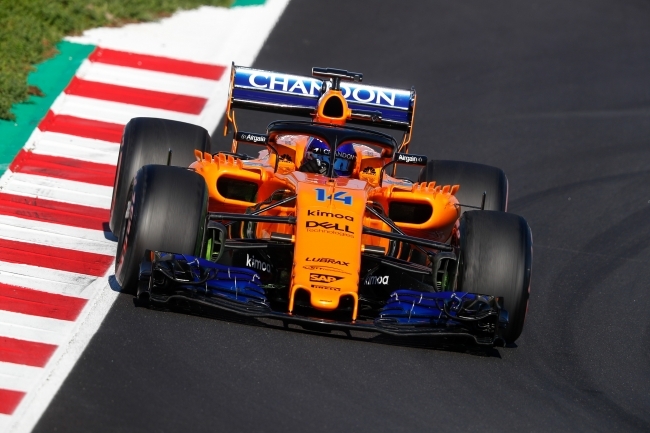 The new machines are the latest investments by McLaren since the renewal of the partnership contract in 2017, confirming Mazak as the team’s Official Supplier of CNC machine tools. Since exclusively partnering with Mazak in 1999, the team has won two world championships and 62 Grand Prix; with the Mazak machines providing a vital in-house engineering support infrastructure, ensuring the cars remain as competitive as possible throughout the season. The McLaren team’s in-house production capacity is integral to meeting the changing rules within the sport. For example, in 2017 the McLaren team changed every single Mazak-made part to comply with the new laws; with nearly 3,000 parts made in one week alone. Simon Roberts, Chief Operating Officer at McLaren Racing, said: “Long-term partners like Mazak are extremely important to our racing team. We expect a lot from our technical partners and official suppliers, and Mazak continues to deliver year-on-year. With over 12 per cent of our car being successfully produced on Mazak machine centres, it’s vital to our Formula 1 operations that upgrades are delivered on time and to the highest standard. Richard Smith, European Group Managing Director, added: “Formula 1 is a sport defined by the finest of margins, with a network of engineers making constant changes to the car throughout the season. Given the intense and often unpredictable nature of grand prix races, the ability to quickly produce precision parts in between race weekends is integral to the team’s ability to arrive at the starting grid in the best position possible.